Wn Nz104 avant port rive ouest, K.V.U. Gruppe St-Nazaire'C2', K.V.Gruppe Loire. Wn Nz104 avant port rive ouest. 1 x R625 Casemate for a 7.5cm Pak 40. 4 x 4cm Flak 28 Bofors. R625 casemate for a 7.5cm Pak 40 gun. 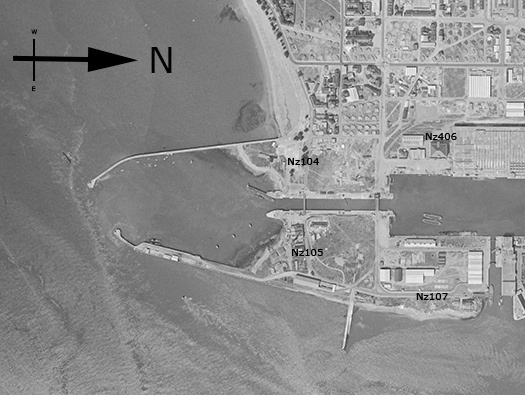 Sainte-Nazaire port area with the Bassin de St-Nazaire and the larger Bassin de Penhoët with Forme Joubert which was attacked in 1943 by British Commando´s with the little ex American destroyer HMS Cambeltown in Operation Chariot. 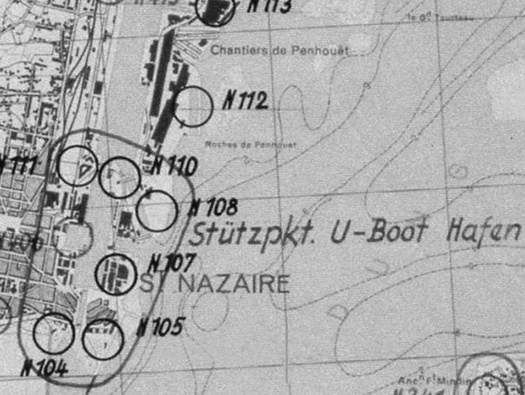 When the port was captured by the Germans in 1940 it was taken over by their navy as a U-boat base and strongly fortified. After Operation Chariot the defences were increased dramatically. 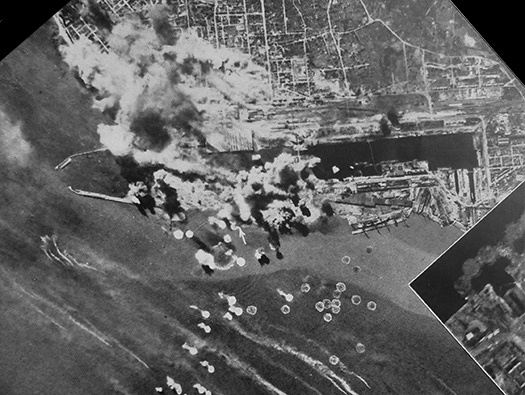 Also a very strong anti-aircraft defence was [laced around the town. Today Nz104 defences have as far as I know have been completely wiped away. We did not get to this side of the port due to roadworks. HMS Cambeltown, Operation Chariot before she blew up. 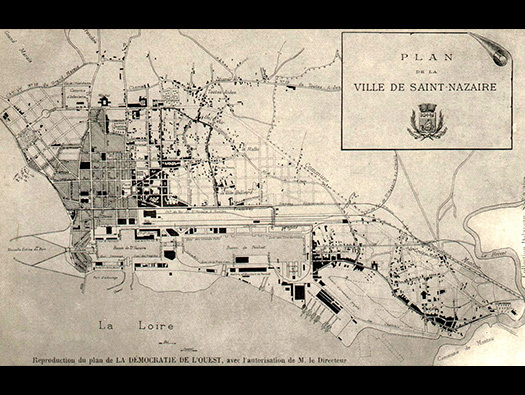 An early plan of St-Nazaire. 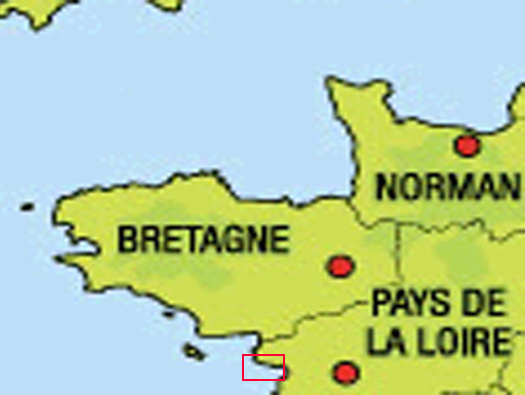 This is the area of Nz104 showing the Nouvelle Entreee du Port. By 1952 the bunkers look as though they have all gone and regeneration of the area has started. The view from the top of the U-boat pen at the ecluse (lock) allowing shipping entry into Bassin de St-Nazaire. This is where U-boats would enter after long Atlantik trips to sink allied shipping. The view across the Ecluse to Nz104. 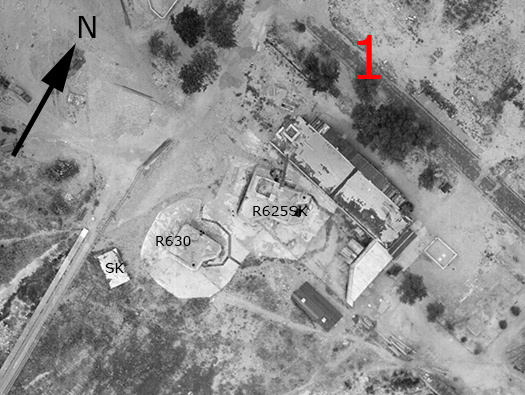 The west bank of the ecluse showing a large Tobruk and an R634 turreted bunker. R634 with the turret in place. 20P7 six embrasured turret with a periscope through the centre..
20P7 six embrasured turret below with a door entrance and a false floor and ladders to the turret. R634 plan with large crew room, gas lock, close combat room, ammunition and turret. 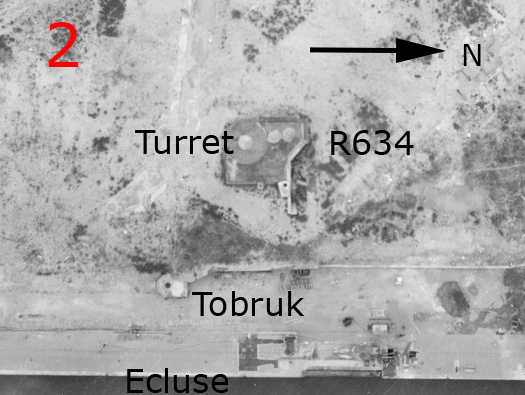 The Tobruk looks like a bf67neu. The southern end of Nz104 now looks completely re built. 7.5cm Pak 40 A/T gun. The new housing now on the western side as all this area was cleared after Operation Chariot. R630 plan. Gun room at the front with a steel plate, crew room behind, gas lock and rear close combat defence. R625 including a Flak position for a 2cm Flak.